Judges rejected the request of the hospital to issue an injunction against the resignation of doctors in the child cancer department. 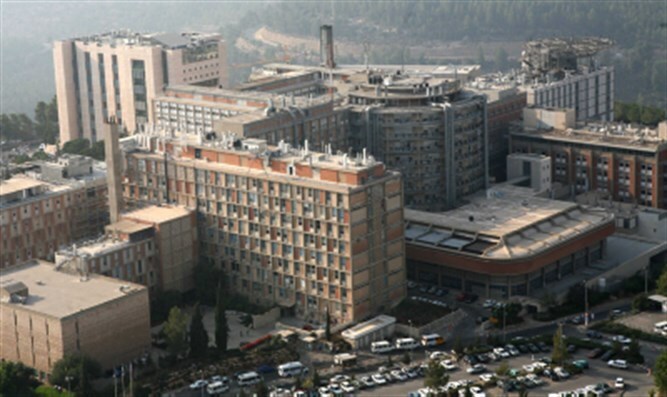 The regional labor court rejected on Thursday the petition of Hadassah Hospital Ein Kerem in Jerusalem to issue an injunction to the doctors in the Children’s Department of Hematology-Oncology against their collective resignation. As such, in another week and a half the letters that the medical staff in the department sent to hospital management are to become effective, at which time 9 doctors are to leave the department. At present there is still no solution to the crisis, and the plan laid out by Health Minister Yaakov Litzman has not been accepted by both sides. Parents of children with cancer who are hospitalized in the collapsing department are angered by the behavior of management, especially that of hospital Chairman Zeev Rothstein, and are apprehensive of the day that the doctors are to quit the department. “The proposal of the Health Minister, which will enable continued bone marrow transplants for children in the department for adults, endangers children sick with cancer at Hadassah. There is no justification in preventing the the doctors from quitting. They must be allowed to resign from their positions, as they requested,” they wrote in their response.